The jet black, not-quite 1-1/2" (36mm) diameter round pendant is a testament to early 20th century glass workmanship in Czechoslovakia. The front is beautifully ornate, while the back is perfectly smooth. This beauty is suspended from an equally ornate sterling silver focal. 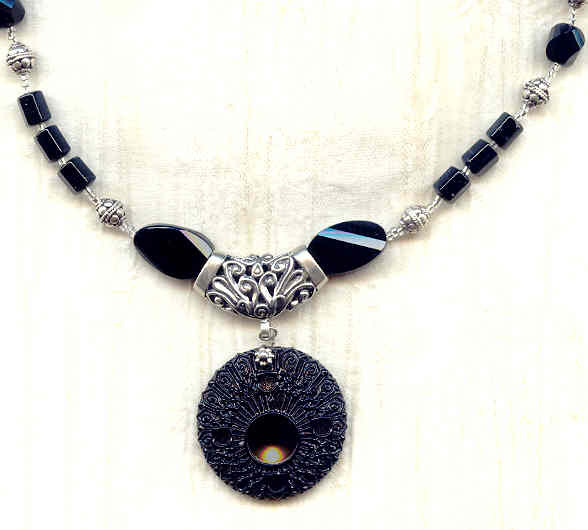 The beads in the 19-1/2" strand include deco-cut black onyx torqued ovals, deco-cut black tourmaline barrels, spiral-cut crystal ovals, and highly decorated sterling silver round beads. The closure is an unusal black glass dotted sterling silver safety clasp. 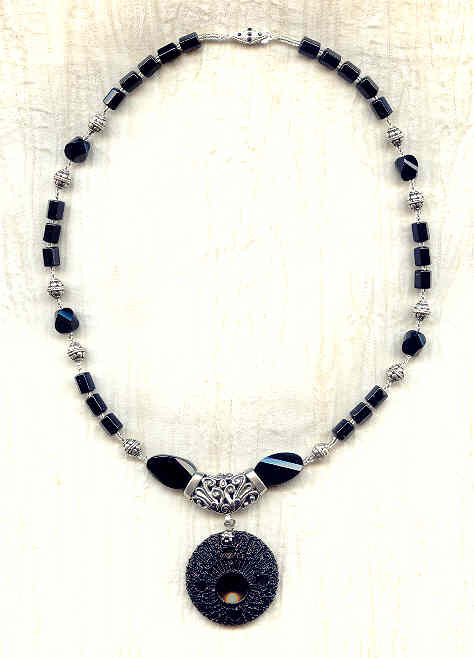 This incredibly classy necklace comes to you from SPARKLE PLENTY, of course. My inspiration for this brooch came from the stylized flowers used in Japanese design in the 1950s.